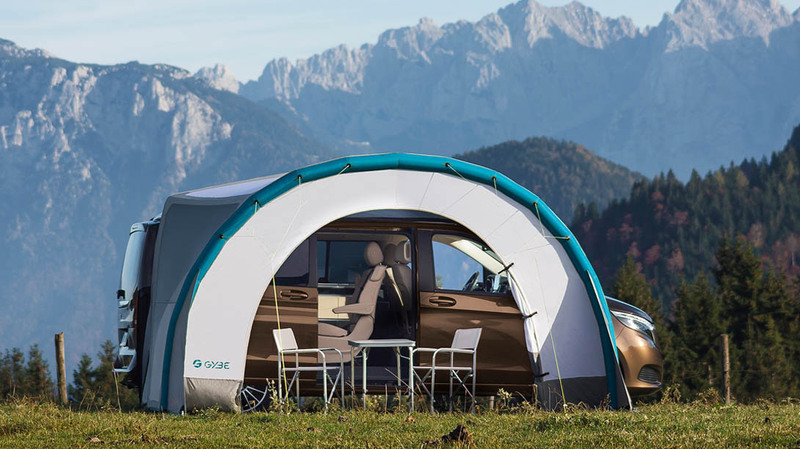 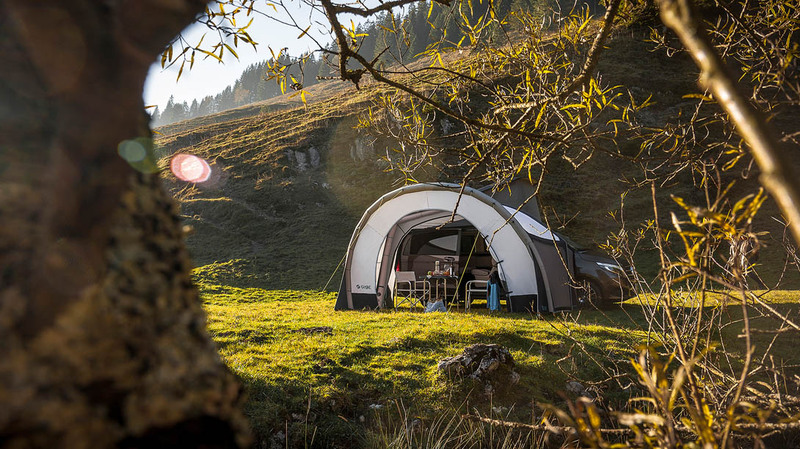 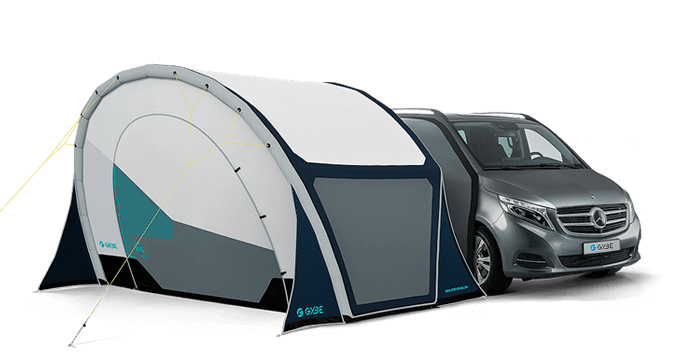 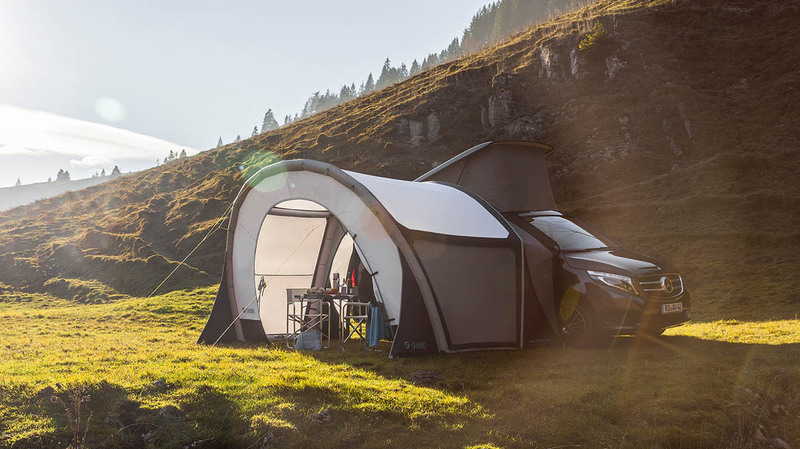 Whether you're on the beach, in the mountains or on the campsite, double the floor space of your bus with the GYBE® Bus Tent and enjoy freedom at any moment. 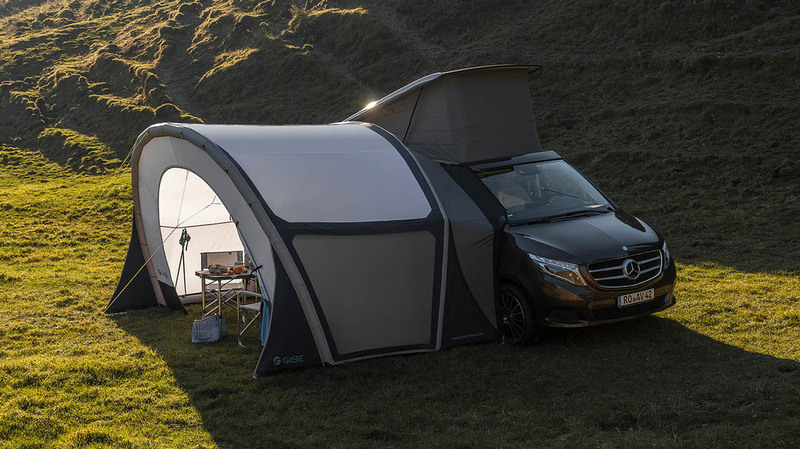 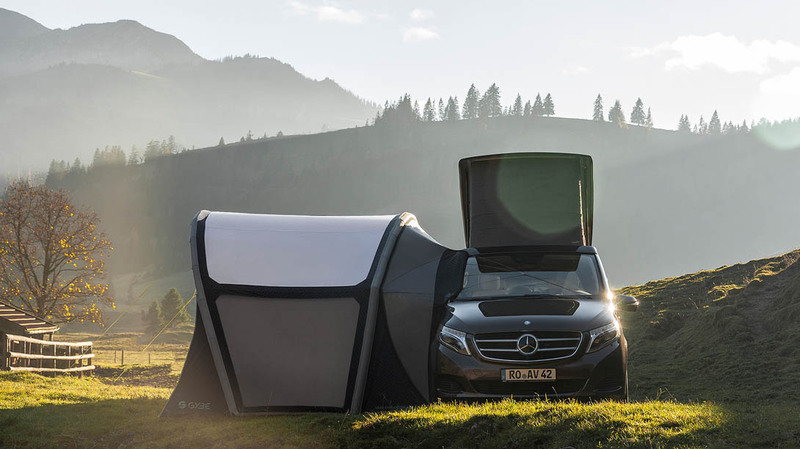 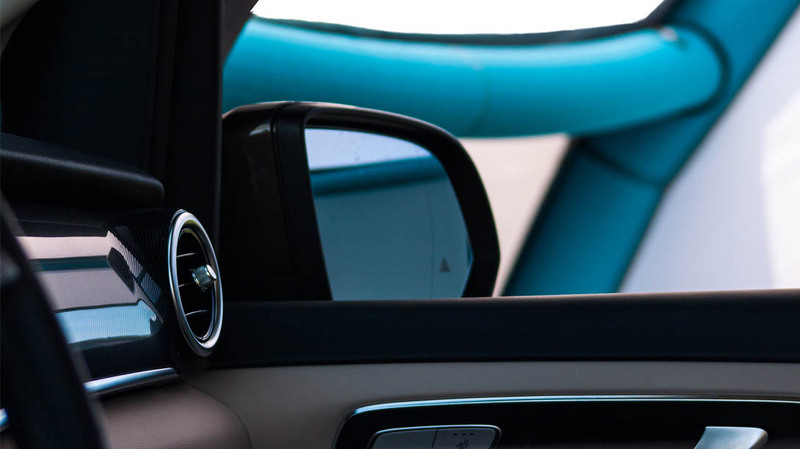 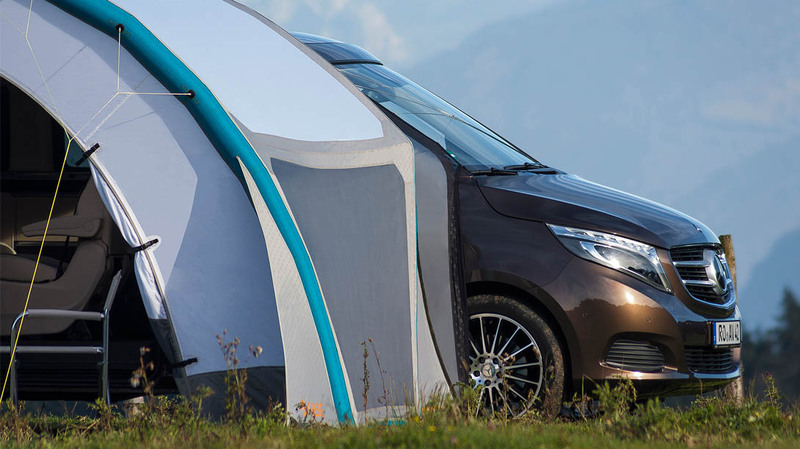 Especially designed for the Mercedes-Benz "Marco Polo", GYBE® has developed a awning that adapts harmoniously to your bus and is easily built up. 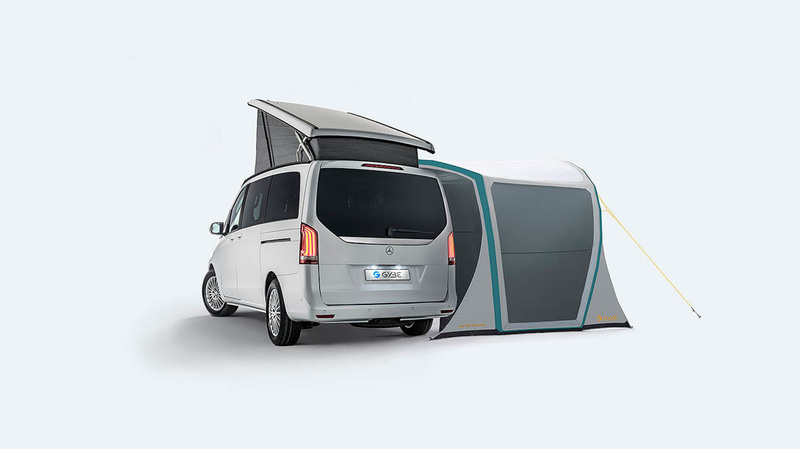 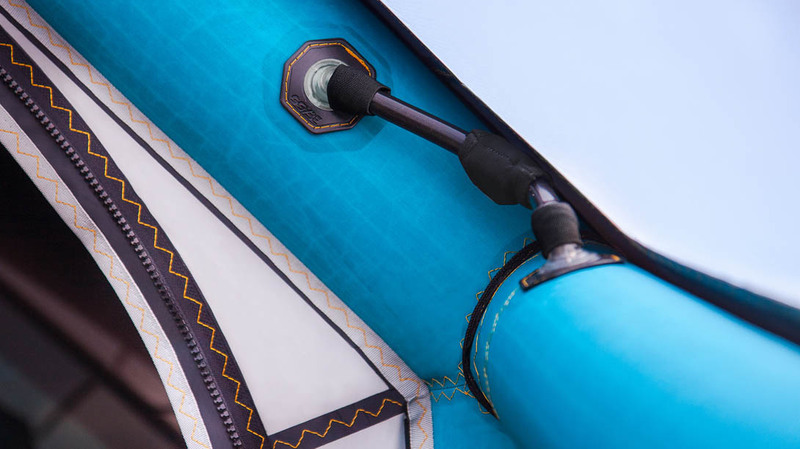 The connection between Bus and Tent is realized through the Marco Polo guide-rail which can be installed on the roof. 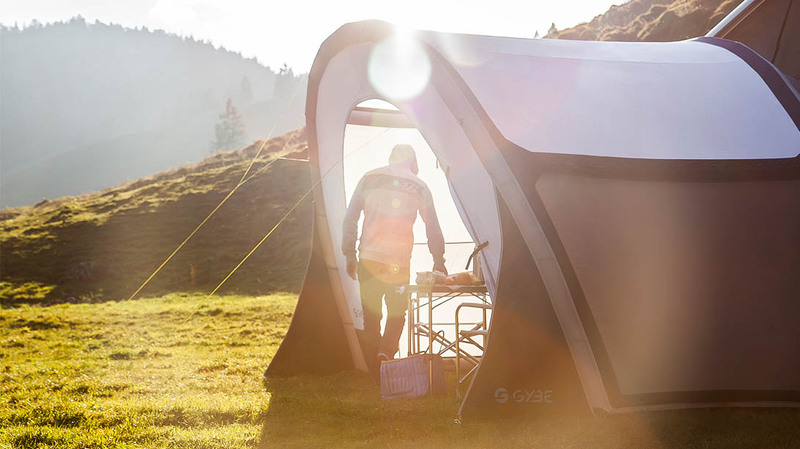 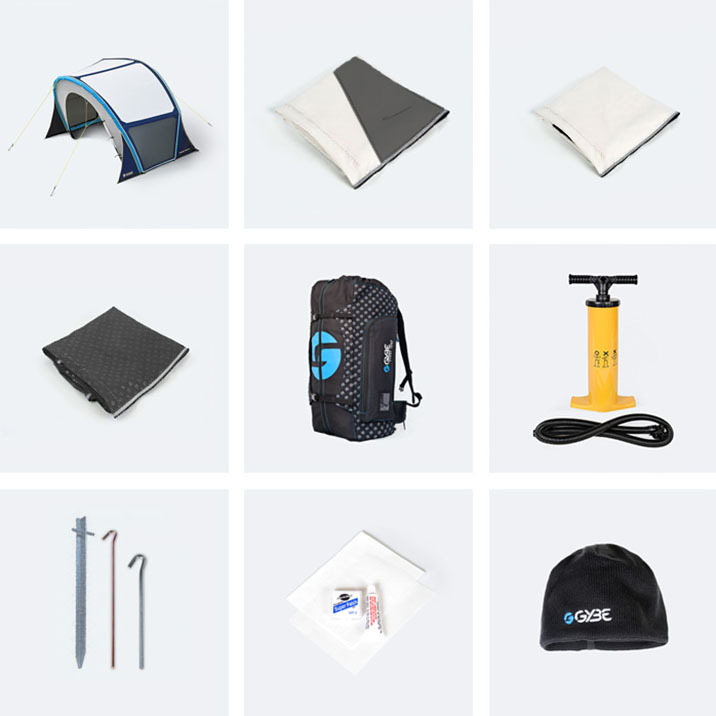 The GYBE® Bus Tent is built up within five minutes: Use the supplied hand pump or let the electropump do all the work. 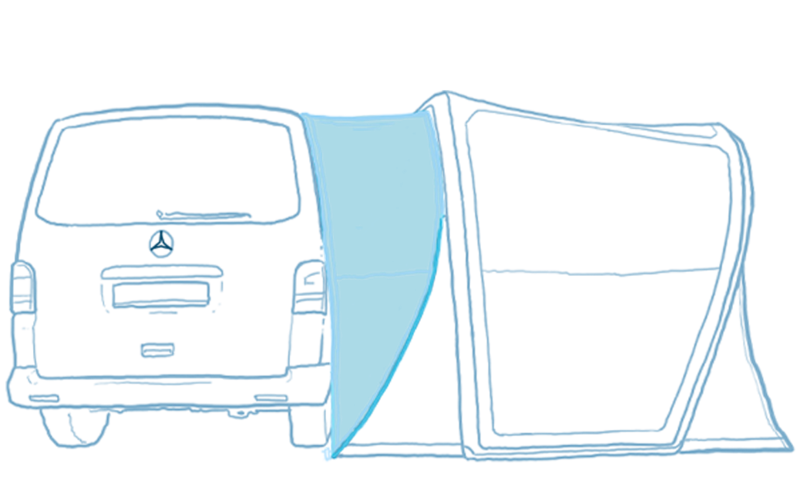 Then connect your tent to the bus by the existing Marco Polo guide-rail on the bus. 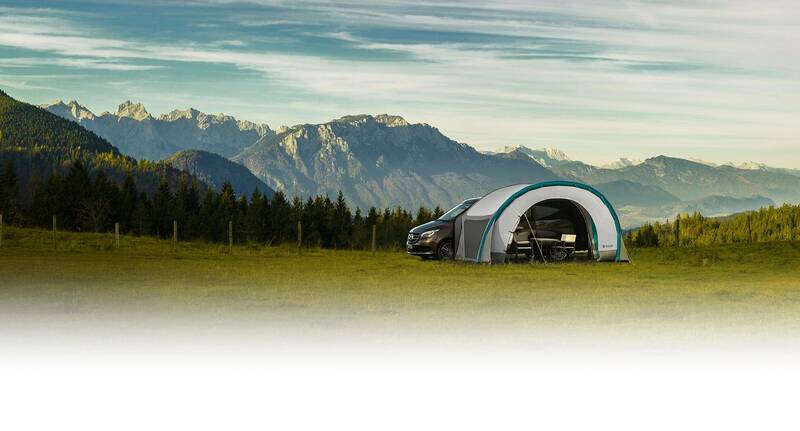 We have developed two special color variants for the Mercedes Bus Marco Polo, which adapt themselves stylishly to all available busoutfits. 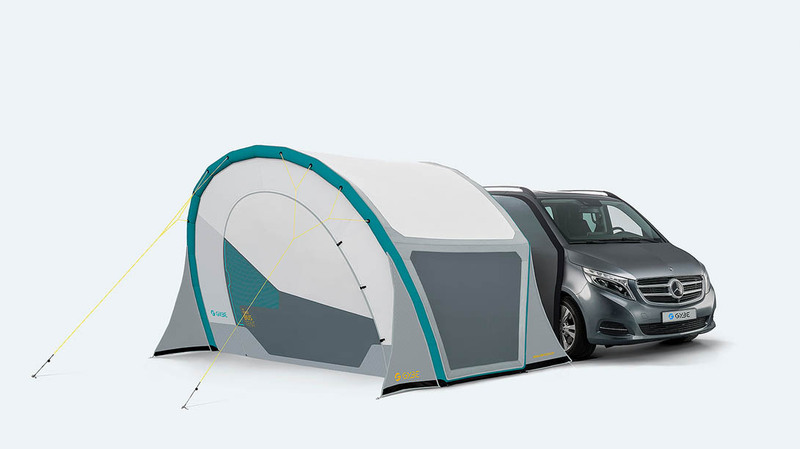 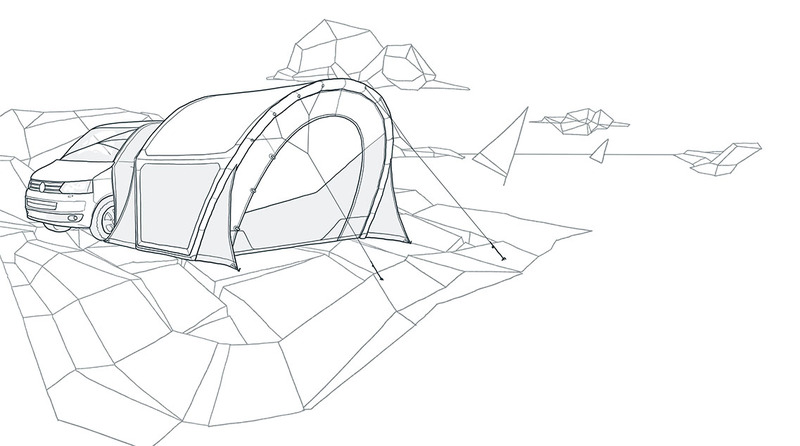 The Bus Tent is available in the design versions Midnight and Sunset. 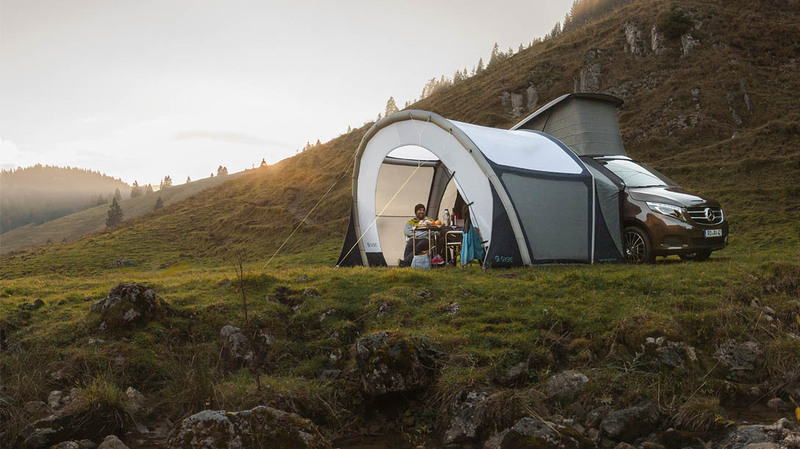 Harmonious basic colors are stylishly staged with colored seams, high-quality workmanship and prints and complete your Adventure Equipment. 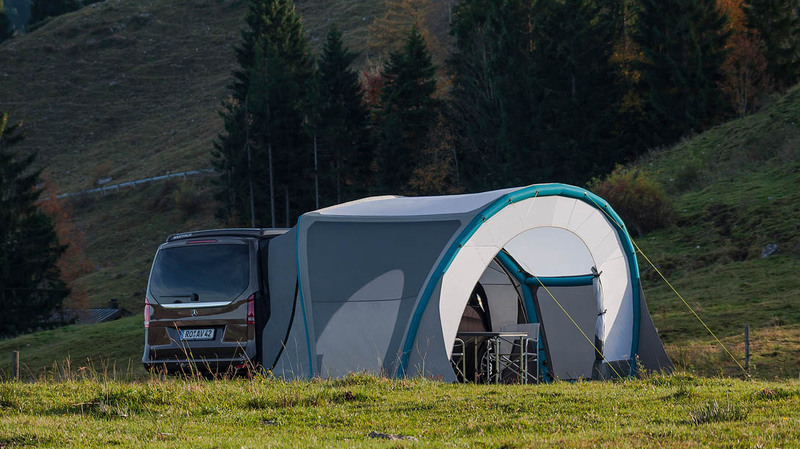 The Bus Tent is made of waterproof material, all seams are water-proof and UV-stabilized.